Mercury rules all types of communication, including listening, speaking, learning, reading, editing, researching, negotiating, selling, and buying. 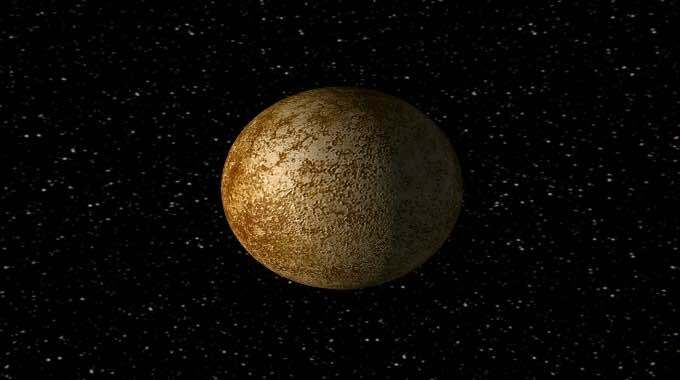 Mercury also rules all formal contracts and agreements, as well as important documents such as book manuscripts or term papers, agreements, deeds, contracts, leases, wills, and so forth. Why does this happen? When a planet retrogrades, astrologically it is in a resting or sleeping state. Therefore, while Mercury naps, the activities that it governs don’t have the benefit of a well-functioning, wide-awake planet to supervise them. Expect a certain degree of pandemonium to ensue! Of course, if you have an emergency, you must have surgery. At other times in life, we do have a choice about when to schedule an operation or procedure. In those cases, such as having plastic surgery, it is best to avoid Mercury retrograde periods. These are periods where mistakes are more prone to happen than at other times, or when judgment is off. Your surgeon is under the same conditions as you, so I would suggest waiting. I would also strongly suggest that you avoid plastic surgery when Venus retrogrades, because Venus rules beauty, and the whole purpose of the surgery is to improve your looks. Mars rules the whole area of surgery, so you would ideally want Mars to be in the best possible form, too. It is said not to have an operation on the part of the body that the sign Mars is moving through rules. For example, if Mars happens to be in Capricorn, it would not be the best time for a knee operation because Capricorn rules the knees. It is said that Mars will increase pain and swelling. A full moon at the time of the surgery will increase bleeding. We do the best we can. Again, let me reiterate, if you have an emergency, don’t worry about any of these rules – have your surgery. I had to have very serious surgery, triggered by a new moon solar eclipse, on the wrong part of the body (because Mars was in the sign ruling the part of the body that was being affected by the surgery). Admittedly, it was a tough surgery, but it was highly successful. If you need surgery, have it! What Other Specific Things Should You Watch Out For? Since Mercury rules the mail and the conveyance of information, be extra careful when sending important documents. If you send faxes, be sure to call the people at the other end to let them know your documents are waiting for them. Otherwise, they may never see it. If you work in an office and have to photocopy an important document, be sure to retrieve the original. Be equally careful about whom you send email to – you don’t want to send a private email to the wrong person or have a sensitive email forwarded to others. Your client may suddenly change direction on a project you have been working on and give you new instructions, which may require you to discard some of the work you did. Miscommunications abound, so during these periods keep summarizing what you think the other person has just told you. Go the extra mile – you will be glad you did! Mercury retrograde periods are notorious for causing computers to crash and for machines, appliances, and other electronic devices to show signs of wear, requiring urgent repair. Backup your computer in advance of any Mercury retrograde period. If you had planned to install new software on your personal computer (or, if you work in IT, on your network), wait until the retrograde period is over to do so. Weird things happen during these periods. For example, you may suddenly discover that you were sold a defective hard drive, even though it may never have given you problems in the past, at least not until you created that vital document and your whole system went down. Mercury also rules trade and commerce, so don’t buy or sell anything expensive during its retrograde phases. Often you will find that the item you want is out of stock. If you do buy something expensive, such as a car, computer, or jewelry, for example, you may regret your purchase later. If you are buying or selling a house, expect problems, errors, delays, and setbacks to arise. The only times you can buy something expensive during a retrograde period are if you are returning something you already bought. Computers, high tech items, appliances, automobiles, and other machines and electronics are highly susceptible to Mercury in a retrograde period. Mercury rules moving parts, so that can be one reason. Yet, other things happen. You buy an air conditioner and 30 days later discover it has gone on sale for much less than what you paid. Or you by an expensive smartphone during a retrograde only to drop it (and crack its screen) or lose it soon afterward. It really does pay to wait to buy electronics. In years past, Mercury always seemed to retrograde during the holiday shopping season. For example, in 2011, Mercury was retrograde from “Black Friday” (where retailers go into the black because everyone loves to shop on the Friday after Thanksgiving, November 25) until the end of the day on December 13. If you are driving any significant distance during a period where Mercury is retrograde, bring extra maps (or make sure your GPS is up to date), make sure you have enough gas, and verify that you have the correct address and clear driving instructions. If your car is making strange sounds, have it inspected before you leave; you don’t want a problem to emerge when you are on the road. If you are flying, check with your airline to make sure your flight is going to take off on time. Have your luggage well marked so that it won’t get lost or sent to the wrong airport, and bring your iPod and a good book to the airport, as there could be lots of delays. Some people do not travel when Mercury is retrograde, and perhaps that might be wise if your trip is business-oriented. However, if you are returning to see a former client you’ve worked with in the past, traveling during the retrograde is fine. Sales people know that business is always most likely from former clients. If you are in sales, earmark all your former clients for special attention during these phases. You can take a trip for pleasure during these periods. Actually, this could be a perfect time to go, for you get away from it all, and everyone back at the office will “feel” the retrograde – they will miss your quick problem-solving ability and advice while you are away! During a retrograde phase, you might want to travel to a place from your childhood that you loved but haven’t seen in a long time. It could be lots of fun because going back to places you knew is favored. Forgetfulness can be a problem during these phases. You are more likely to leave your airline ticket or passport on your desk rather than put it in your pocket; leave your cell phone, sunglasses, or gloves in the back seat of a cab; or lock yourself out of your car or house. I always advise that you tape your business card on the back of your computer or smartphone case, and slip your card into your case holding your eyeglasses in case one of these treasures is lost. I also suggest that if you buy a gift card for someone, you photocopy the card’s serial number so that if you or your recipient loses the card, you can get it replaced quickly by the retailer. (Of course, keep your receipt stapled to the photocopy. Some retailers can give you a gift receipt with the serial number on the receipt, so you don’t have to go through the trouble of having the card photocopied. Even so, keep a copy in your records too, for your recipient may lose everything!) Tell your recipient that you are taking precautions, in case they do lose your gift and are too shy to tell you that they did! Often there is a comedy of errors surrounding Mercury retrograde! While we are on the topic of photocopying important documents, photocopy your passport and give your family members a copy, too. If you ever should lose your passport, you will have a copy to show the passport office, and it will make things much easier for you! Do that today, while you are thinking of it! Romance tends to go haywire, too, during Mercury retrograde periods. Couples tend to create miscommunications that in turn can cause a domino effect of errors. Try not to jump to conclusions, and keep striving for clarity. Your sweetheart or spouse could also have a sudden change of mind. For example, if your boyfriend or girlfriend says, “I want to break up,” he or she could say later, “No, let’s not! I didn’t really mean it!” That’s because people aren’t always thinking straight during these phases. Mercury retrograde is notorious for creating confusion. Keep in mind that Mercury retrogrades in three different signs of the zodiac during the year. If it retrogrades in your sign, delays and frustrations will become even more pronounced than usual. In this case, try to be even more vigilant and double-check proposals, ideas, creative efforts, and other plans to root out flaws or incorrect assumptions. Always go the extra mile to find errors during a retrograde. These periods demand a slow and deliberate approach. It would be a great time to reorganize your files or closets. Pack up clothes you haven’t worn in a while and give them to charity. Polish your shoes and decide which ones need repair, and while you are at it, decide which appliances need to be taken in for repair as well. Oddly, as busy as we are, during these phases we always seem to find more time to get things done. When you clean your closets, you will find treasures you thought you lost or had completely forgotten about, always a bonus of going through things you have not seen in a while.